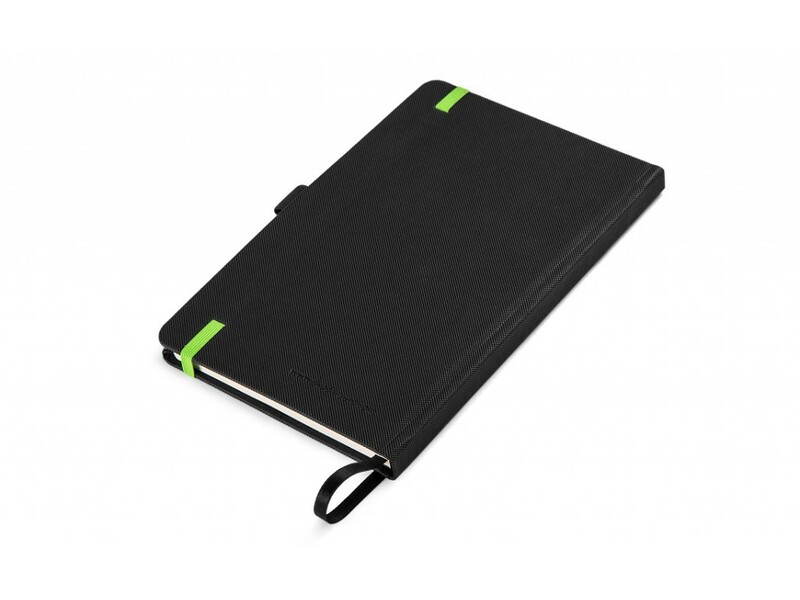 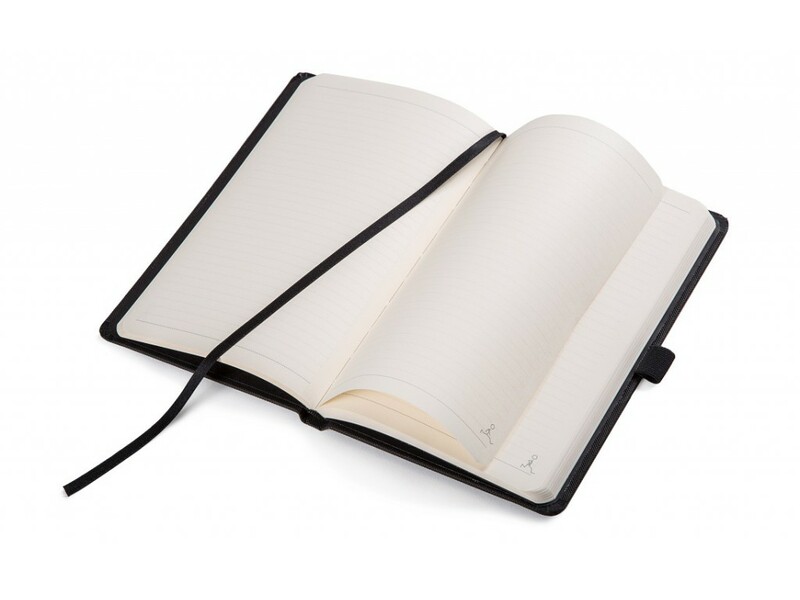 The black Notepad has 160 pages with lines, sewed binding and is equipped with a penloop on side. 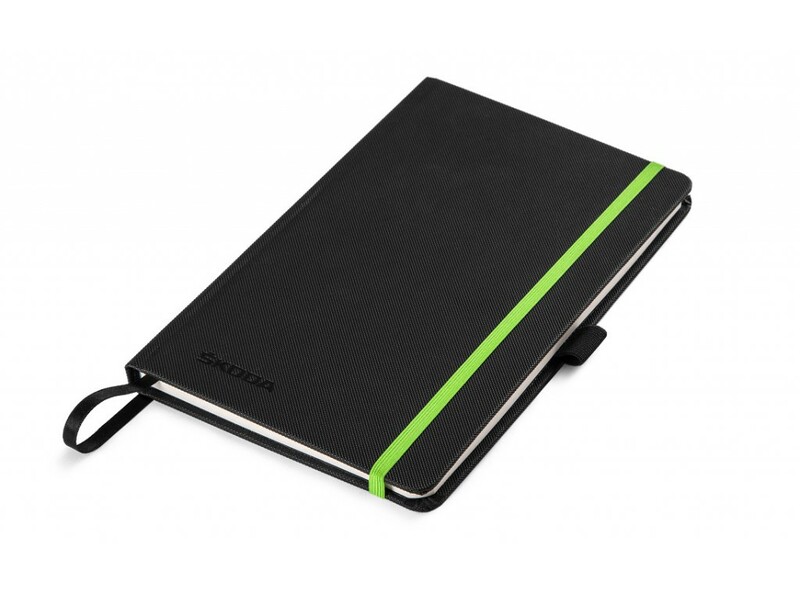 A green rubber protects it from unwanted opening. 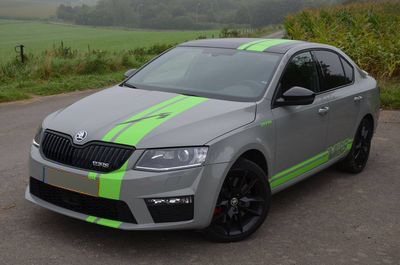 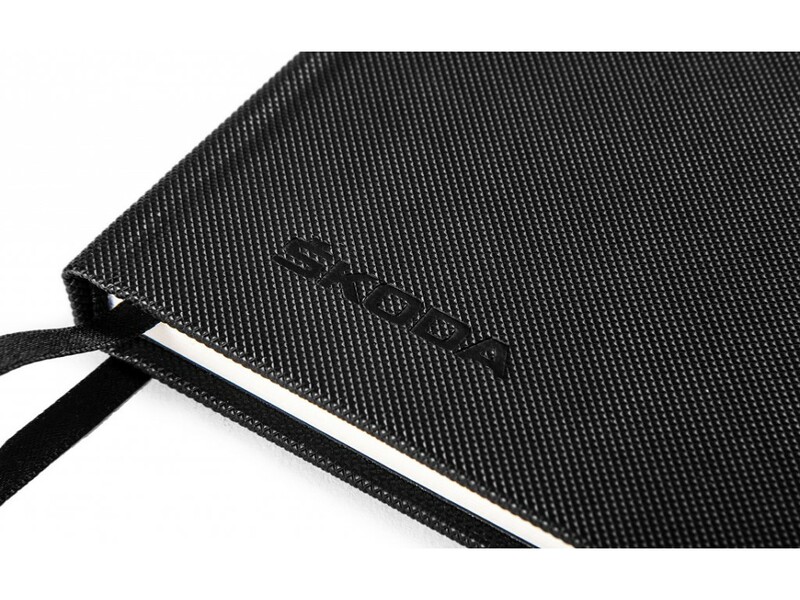 On its upper side, there is restrained ŠKODA branding embossed.